is a former dance/theatre major. Her greatest role by far is playing Mom in the ongoing production of Raising Seth. This production would not have been possible without the love and encouragement of Angelique, Molly and Matt. Thank you for the strength to manifest my dreams. is a 2005-2006 recipient of the NEA/TCG Residency in Playwriting Program at Miracle Theatre, where she will write Oscar Goes to Mexico. Her work has been read at Brava! For Women in the Arts in San Francisco, FringeACT Festival, A Contemporary Theatre/Hedgebrook Women Playwrights Festival, and Richard Hugo House. Claudia Meets Fulano Colorado was workshopped at South Coast Repertory Theatre’s Hispanic Project in 1997 and at Live Girls! Theater in 2005 and published in Latino Plays from South Coast Repertory: Hispanic Playwrights Project Anthology (2000). South Coast commissioned Tino Does Time, which won the Richard Hugo House New Play Competition in 2000 and was produced by Live Girls! Theater in 2003 and Miracle Theatre in 2004. Two Steps Forward, One Step Back, was produced by South Coast Rep as part of California Scenarios. Las Tres Marias (co-authored with Marta Sanchez and Carmen Carrion) was produced by Mae West Fest and read at Bumbershoot and Miracle Theatre. Edward, CEO was read at FringeACT and is currently a musical (with composer Bernard Pack). The Seattle Opera Education Department commissioned and produced La Casa Verdi and Orpheus Sings of Love. Live Girls! Theatre produced the short plays Raul’s Last Stand and El Corrido de Manny Cruz. Cornish College of the Arts commissioned and produced a translation of Moliere’s George Dandin (with Chuck Hudson). Seattle’s La Casa de Artes commissioned and produced El Corrido de Manny Cruz. Her radio work has been produced by Shoestring Radio Theatre, Jack Straw, New Waves Radio Theatre, and KUOW. Literary work has been published in The Amherst Review, The South Carolina Review, and Dialogue. is thrilled to be returning for second round of Día de los Muertos at Miracle Theatre, having performed in last year’s La Carpa del Ausente. She is a graduate of The Portland Actors Conservatory’s Professional Actor Training Program class of 2007 and serves as PAC’s Production Manager. Sarah has appeared in The Mail Order Bride (PAC), Small Tragedy (PAC) and The Garden Party (defunkt theatre). attended the Pasadena Playhouse on a full fellowship in 1965 right out of high school. After attending the Pasadena Playhouse and touring with its children's theatre, Russ returned to Portland. He spent five years working with the Slabtown Stop Theatre where he performed in productions of U.S.A., Catch 22, One Flew Over the Cuckoo's Nest, and Of Mice and Men. In 1979 he moved to New York where he appeared in 13 off Broadway shows. He directed and starred in the Greek Theatre of New York's musical version of The Birds by Aristophenes. He eventually returned to Portland and has worked for several theatres over the last twenty five years. Some of his favorite shows include Death of a Salesman, Glass Menagerie, and Camelot. For the last five years Russ has been concentrating on teaching and working in film. Burning Patience brings him back to the stage where he get to play his life long hero - Pablo Neruda. has appeared in A Streetcar Named Desire at the Portland Civic theatre. He has also appeared locally in The Marriage of Bette and Boo at the Firehouse theatre, Tango for the Miracle Theatre Company, The Face of the Night for Mother Road Projects, and The Wives of Windsor for Shakespeare in the Parks Portland Actors Ensemble. Frank studied acting with Jeramy Whelan at the PCT School and is presently writing his second play. has appeared with Mt Hood Repertory Theatre Co. in ON GOLDEN POND, Many Hats Collaboration in MUTT, The Bluestockings in THICKER THAN WATER and OTHER WOMEN, Masque Alfresco in TARTUFFE, and is co-director of ACTING UP – ACTING OUT! A Performance Workshop for children. With a BFA and MFA, she has acted, directed, and taught throughout the Northwest, recently appearing in AGNES OF GOD, WINGS, COLLECTED STORIES, and THE BELLE OF AMHERST. is a recent graduate of Reed College and is currently working as a lighting technician at Portland Center Stage. In addition to lighting, he is also a playwright, having most recently created a radio play, Chronicles of a Ripened Fruit, aired in nine episodes, last June, on KBOO. His Yellow Skinner Box was a first place winner in the Actors’ Theatre New Playwrights’ Contest in Santa Rosa, CA. With his Spanish speaking skills he also worked as a Public Health Director for Amigos de las Américas in Oaxaca, Mexico. guitarist, began studying the flamenco guitar in 1995. He spent two years in Spain focusing on the art of flamenco song and dance accompaniment. Mark held the post of resident flamenco guitarist at the University of New Mexico and has toured with the second company of María Benítez. He is the music director for Solo Flamenco’s Arts Academy, where he teaches flamenco guitar and serves as the primary guitarist for El Cuadro Solo Flamenco. Mark performed in South Korea in 2005 with Laurena, as part of the groundbreaking fusion of flamenco and traditional Korean music. moved to Portland from Los Angeles with her mother and stepfather in 1986. She is an Honor Roll student in the 6th grade at Mt. Tabor Middle School. Though this is Courtney's first semi-professional production, she is no stranger to the stage, having portrayed the Pied Piper in The Pied Piper of Hamlin, and the Evil Landlord in Pinnochio. Courtney loves to read, is interested in clothing design and creative writing, but, most of all, loves the performing arts. was last seen as Christina in Triangle! Production's Christmas with the Crawfords. Prior to that she spent over two years in the Portland production of Tony 'n Tina's Wedding, playing several roles throughout the run. Other favorite roles include Rhonda in Lion in the Streets and Jasper in Poona the Fuckdog, both with Theatre Vertigo, Alice in Pizza Man with Stark Raving, and Joy in Last Days at the Dixie Girl Café with the Lakewood Theatre Company. Lori is proud to have participated in several Department of Defense tours, performing for US Troops stationed overseas. customized dance costumes for principal dancers in several states outside Oregon. Maria is currently the artistic director and ballet mistress for Northwest Conservatory of Dance in Hillsboro. has helped out on two previous Miracle Theatre productions, Christmas Crisis in Las Cruces (2000) and the Milagro Bailadores 2001 spring dance show, ¡Viva Baile! Noches de Cuba. Muertos is his first design for Miracle Theatre. He creates scenery for a living at C. Whitten Design and Display. Mi nombre es Magela Figueras, tengo 17 años y soy una senior en Parkrose High School. Me encanta leer, escuchar música, salir con mi amigos, mis padres y mi novio. Mi meta es de seguir estudiando y entrar en la universidad para tener un futuro mejor. Me encanta Pluma Nueva porque tengo la oportunidad de hacer cosas que me gustan, y principalmente, actuar. is a graduate of Clackamas high school and has spent three years in college studying Architectural Design and Drafting. Most recently she has appeared in a commercial and played the role of Auntie Mame in Auntie Mame at West Valley College in Saratoga. Currently she spends her days as a Property and Casualty Specialist for Metropolitan. René would especially like to thank Bruce McDonald of Grant High School's drama department as the words "Project your voice" stick in her mind to this very day. René pursues theatrics as a hobby and will continue to do so throughout her education depending on the audience encore. If that fails, she will probably try her other personality behind the camera. is glad to be back at the Miracle for his 4th production. Previous plays include Icarus and Yerma. After a brief stint as an acting student back east, Padd has acted from Bellingham WA to Chico CA (where he was a very average TV weatherman). For the last 10 years Padd has produced and directed his own sketch comedy troupe Passengers on the Bus. began acting in 1983 at PCC-Rock Creek under Rick Mullins. That spring her performed in Action by Sam Shepard as Shooter. In the summer of 1985 he was in Wetdreams at Storefront under the direction of Rick Young and that fall was Jim in The Rainmaker for Sumus. He is excited to be working on Antigone with the Miracle Theatre Company and feels this classic will be a great learning experience. is the Artistic Director of Toad City Productions where she directs and performs in many of their original scripts and improvised Cabarets. Most recently she directed and produced Grimm Silence. She has graced the boards at Stark Raving Theatre in The Choice, Pornographic Panorama, Prometheus Bound and directed Criminal Genius and Problem Child. She has played Alex in On the Verge both in Portland and New York. While in New York she performed, directed, taught and graduated from the New Actors Workshop where she studied with Paul Sills, Mike Nichols, Elaine May and Gene Hackman. Adrienne teaches theatre through out the Northwest to young and old. This performance is dedicated to her longtime feline companion, Grey Lady, who taught her all she knows about grrrl cats. se siente enorgullecida por participar en su sexta producción en el Miracle! Anteriormente participo en Ardiente Paciencia, Rosalba y los Llaveros, Bodas de sangre, la producción del Día de los Muertos del año pasado. Alisha ha estado viviendo en (y esta enamorada de) Portland desde 2005, y está disfrutando de su séptima temporada como encargada de los accesorios del escenario en Portland Center Stage. Alisha is proud to endeavor on her sixth production with Miracle! Previous shows include Ardiente Paciencia, Rosalba y los Llaveros, Bodas de sangre, and last year’s Dia de los Muertos. Alisha has been living in (and loving!) Portland since 2005, and is enjoying a seventh season in her position as Props Artisan at Portland Center Stage. was born in Lavras, Brazil and raised in New Orleans, Louisiana. Currently she is finishing high school and working at Steen's Coffeehouse. She studied acting under Eliot Keener (The Big Easy) and is an avid soccer player and fan. This is Michelle's first performance with the Miracle Theatre. has been involved in Portland area theatre for the past 17 years as an actor, director, playwright, composer and sound designer. For the Miracle Theatre, Mel has composed original music for The Frogs, El Zorro, The Truer Story of Columbus, and Earth Summit. He wrote and directed El Zorro and The Truer Story of Columbus, and has acted as Don Quixote in Aventuras de Don Quixote and as Mel in Un Christmas Cuento. Mel is also an original member of the Carousel Company and a member of the Portland Church of Religious Science. His dream is the disappearance of all forms of prejudice. was the resident sound designer at Portland Repertory Theatre for nine seasons. Recent credits include sound design with Jem Raynack for "Indians" at Profile Theatre Project, lighting for "Funny Girl" at the Musical Theatre Company and set construction/co-design for Imago's "No Exit". Barrio Grrrl! marks Paul’s second production at Miracle Theatre, having appeared here in 2002 in La Chunga. He is currently an Associate Artist at Stark Raving Theater. He has performed there in Kiss It!, landscape with stick figures, FaustUs and Tundra. Elsewhere, he worked with CoHo productions in Child of Pleasure, Mall America and Dealer’s Choice. In 2001 Paul had the good fortune to make his debut with Portland Center Stage in A New Brain. In the early years of Tygre’s Heart Shakespeare Company, he portrayed an array of roles from Borachio to Caliban to the title role in Richard II. Paul is a former member and original co-founder/artistic director of Theatre Vertigo. His Vertigo work includes Big Love, The Grey Zone, Mass Murder, Lion in the Streets, The Physicists, Masterpieces and Hellcab. As a director he helmed Vertigo’s premiere production, A Woman Alone, as well as Two-Headed Roommate and Criminal Genius. Paul received his MFA in Acting from UC, Davis. nació y creció en El Paso. Se graduó con una licenciatura de la Universidad de Texas en El Paso, y recibió una beca para estudiar en la Universidad de Iowa, donde recibió su MA y MFA en grabado con honores. Regresó a El Paso, donde fue director de La Galería, he impartió cursos básicos de dibujo en la UTEP. Después de tres años regresó a Iowa City, donde enseñó en la Universidad de Iowa y trabajado como preparador en el Museo de Arte de Cedar Rapids. Actualmente Gene enseña dibujo y grabado en el PCC. Gene was born and raised in El Paso. He graduated with a BFA from University of Texas at El Paso, and received a fellowship to attend the University of Iowa where he received his MA and MFA with honors in printmaking. He returned to El Paso where he became the Gallery Director as well as taught basic drawing courses at UTEP. After three years he returned to Iowa City, where he taught at the University of Iowa and worked as a preparator at Cedar Rapids Museum of Art. Currently at PCC, Gene teaches drawing and printmaking. was raised in Japan and south Texas. Gonzalo is the head of research and development for Miracle and is presently developing the Hispanic Arts and Culture Lecture Series for 1994. 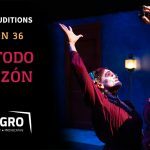 Previously Gonzalo appeared in the role of Alcalde for Teatro Milagro's El Zorro. is appearing for the 2nd year in Miracle Theatre's Reading Series. Other Miracle productions include The Miser of Mexico for the 5th Annual Hispanic Cultural Festival, and he has also played the title role in The Shrunken Head of Pancho Villa. Santos is a veteran actor in Portland and has performed in many local theatres. Rosa Floyd is a Dual Language kindergarten teacher at Nellie Muir Elementary in Woodburn. She uses folkloric dance to instruct and inspire students, teachers, parents as well as the entire community. She has been dancing since the age of six and performed with many Ballet Folklorico groups in Guadalajara professionally for many years before moving to Portland. She has been studied and traveled in Mexico, Spain and Cuba. She currently performs with Cosecha Mestiza, Grupo Huitzilin and Colectivo Son Jarocho de Portland around the Northwest. One of the founding members of Milagro Bailadores, she has been performing with Milagro since 1997. Sherman Floyd has been part of the Dia de Muertos tradition at Milagro since its beginnings nearly 20 years ago. He has traveled and studied extensively throughout Mexico, Spain and Cuba learning from masters of Afrocuban and Afromexican traditions. He is a teacher who uses music to get his students excited about language and culture. He has performed many different styles of traditional music locally in different projects over the years, including Rancheras, Afrocubano, Son Cubano, Nueva Canción and others. His true musical passion now lies in the music of Southern Veracruz and the Son Jarocho tradition, of which he is an avid student. It is a true honor for him to be able to share a little of what he has learned with you tonight! He currently plays with Grupo Huitzilín and Colectivo Son Jarocho de Portland. Other Milagro credits include, Xandu Ya, Canta y No Llores and Alas del Huracán. has been around the Miracle Theatre since before he could walk. He has participated in many performances of the Milagro Bailadores as well as done television work for Will Vinton Studios and Univision. Shermito is a third grader at Cherry Park Elementary School and has studied acting at Jonathon Robert Powers School in Portland. is thrilled to be working at Milagro for the first time. She has worked locally with Lakewood Theatre, NW Children’s Theatre, Oregon Ballet, Post5, Action/Adventure, Well Arts Institute, Profile Theatre, Northwest Classical Theatre and Imago Theatre. Originally from Alabama she has worked with theatres up and down the east coast including Williamstown Theatre Festival and Alliance Theatre. She has a Master's degree in Stage Management from Rutgers University, Mason Gross School of the Arts. Annie Bosworth Foley está emocionada de trabajar en Milagro por primera vez. Ella ha trabajado localmente en Lakewood Theatre, NW Children’s Theatre, Oregon Ballet, Post5, Action/Adventure, Well Arts Institute, Profile Theatre, Northwest Classical Theatre y Imago Theatre. Originaria de Alabama, ella ha trabajado con teatros por toda la costa este incluyendo Williamstown Theatre Festival y Alliance Theatre. Tiene una maestría en dirección de escena de la Rutgers University, Mason Gross School of the Arts. graduated from Portland State University with a degree in music. He has toured extensively with the PSU Chamber Choir, performing in numerous concerts and recordings. He is currently touring with Teatro Milagro's production of Cenizas, and was last seen with Quinto Sol in Día de los Muertos Festival. is the Artistic/Education Director of the Oregon Children's Theatre where he has directed Stuart Little, The Velveteen Rabbit and many other classic pieces of children's theatre. Some of Foote's other directing credits include Strange Snow (ART), Pump Boys and Dinettes (ART), Into the Woods (Lakewood Theatre Company), Three Guys Naked From the Waist Down (Lakewood Theatre Company), Jesus Christ Superstar (Lakewood Theatre Company), The Mystery of Irma Vep (Lakewood Theatre Company), Psycho Beach Party (Triangle Productions), and Blue Plate Special (Triangle Productions). He would like to thank Antonio Sonera for his trust and friendship, José for his support, and Andres and Rafael for their hard work and dedication to this project. is a Portland-based lighting designer and nine-time winner of Willie and Drammy awards for theatre, for such companies as Artists Repertory Theatre, Imago Theatre, the Musical Theatre Company, Storefront Theatre and Tygres Heart Shakespeare Co. He has also designed for American Repertory Theatre (Cambridge, Mass), the New Rose Theatre, Portland Repertory Theatre, Portland Center Stage, Portland Actors Conservatory, and many others. He tours with Imago’s production of Frogz as lighting designer and stage manager, and as technical director/lighting designer for the Deborah Hay Dance Company. He is a co-founder, with Linda Austin, of Performance Works NW, for which he also serves as technical director. At Miracle, he has designed lighting for Sonia Flew and our 2006 Day of the Dead show, La Carpa Calavera. Blanca Forzan holds a degree in Architecture from Del Valle de Mexico University, and worked with National Institute of fine Arts for over two decades. She is also a Set designer, production manager, play writer, tour manger, and international technical director. Notable shows include Faust (Brooklyn Academy of Music); Hamlet (Cadiz Spain); Other Credits include Broken Promises, Contigo pan y cebolla, El Muerto vagabundo and Astucias (Milagro); Bicycle Country (Aurora Theatre, Lawrenceville GA); and Octoroon (Artist Repertory Theatre). is a Portland designer and freelance artist. Drew has collaborated with Salem Repertory Theatre, Chemeketa Community College, Miracle Theatre Group, Portland Actor’s Conservatory, Hand2Mouth Theatre, Profile Theatre, Theatre Vertigo, Bag & Baggage Productions, Artists Repertory Theatre and Michael Curry Design, among others. A graduate of Willamette University with a BA in Theatre Performance, Drew also studied modernism and avant-garde theatre at Roehampton University London. has been acting since he was seven years old. Some roles include Richard Roma in Glengarry Glen Ross, Norman in The Star Spangled Girl, Antonio in Twelfth Night and Starky in Peter Pan. Outside of performing he also stage manages for Clackamas Repertory Theatre and is currently a senior at PSU. has been in about 50 community theatre productions and two equity plays in the Los Angeles/Long Beach area. He's written about one dozen one act plays with consciousness-raising, social change themes. Some of them have performed in Seattle and Portland. Currently he is employed by the Multnomah County Health Department where he works on the HIV project. Rey was last seen in the role of Pablo Neruda for the Hispanic Cultural Festival production of Burning Patience. has been active in Portland theatre for over two years. His Portland roles include Pluto and the Elderly Slave in The Frogs, Ivanov in It's Hard to be a Jew, Alonso in The Tempest, Devlin and Virella in The Movie Man, and Verges in Much Ado About Nothing. He has taken acting classes with Portland Parks, Tualatin Hills Parks, and Boise State University. is a writer, teacher and performance artist. His two most recent works, both performed at Dreamswell Theater, were "Women" and "The Two-Headed Person." "What About Isaac?" will be part of a one-man show to be staged later this year. has enjoyed the immense natural high and magic that theatre has provided him for the last five years, with such diverse roles as: LeBeau in As You Like It, He in Here We Are, Bobby in Cabaret, and most recently as Ellard in West End Theatre’s production of The Foreigner. Chase also recently trained with renowned Japanese instructor, Larry Kominz, for the title role in the Japanese kyogen play, Tied to a Pole. Chase would like to send a very special thanks to Olga for her wonderful support and vision, to the cast and crew, and especially to a wonderful mother, Kim. American composer Ryan Francis's music has been described as “shimmering”, “focused” and “warmly lyrical” (New York Times). Projects from 2017 include The Living Fabric, a collaboration with Emily Wells, Prophet Cycle with pianist Conor Hanick, and Pocket Studies for synthesizers and diverse instruments. Francis's works for dance include two collaborations with Swedish choreographer Pontus Lidberg, SNOW (2015), and Stream (2013). A native of Portland, Oregon, Francis holds a doctorate in composition from the Juilliard School. Tracy’s work has been seen in New York at HERE Arts Center, NY International Fringe Festival, Manhattan Shakespeare Project, NY Arab Comedy Festival, Center for Performance Research, Brooklyn Lyceum, PEN World Voices Festival. Regionally with Boom Arts (Portland,OR) and Williamstown Theatre Festival, and internationally at the Falaki Theatre (Egypt), Ubumuntu Festival (Rwanda), and LaMama Umbria (Italy). Cameron has created original performances for Bushwick Open Studios Performance Art Showcase, Brooklyn Fireproof Gallery, the W Hotel, Alwan Center for the Arts, JAW at Portland Center Stage, and Hybrid Theatre Works. She is a core member of Theatre Without Borders, a member of the Lincoln Center Theater Directors Lab, an associate member of SDC, and former artistic director of Hybrid Theatre Works. She was named a Theatre Communications Group 2017 Rising Leader of Color. has appeared in The Life of Galileo as Virginia, The House of Bernarda Alba as Magdalena (both for the New Rose Theatre), The Art of Dining as Nesa for Storefront Theatre, Ludlow Fair as Agnes for Sumus, and as Zerbenetta in Scapino at the Portland Civic Theatre. is happy to be doing his second show with Milagro. In Spring of 2001, he was lighting designer and tech director for Milagro's production of References to Salvador Dali Make me Hot. Tim has been a lighting designer and technical director in numerous theatres and universities. He most recently worked as technical director for Portland Center Stage's 2001-2002 season, but is currently on a bit of a theatre hiatus, working at the Community Cycling Center in NE Portland. is making his second appearance with the Miracle Mainstage having appeared in Café Con Leche in 1998. Nick has performed in numerous High School productions and was also seen in Waiting for Godot with Bridge City Productions. Currently Nick is a sophomore in high school and plans on pursuing music as a recording artist after graduation. has been Assistant Concertmaster of the Oregon Symphony since 2001. Prior to playing in Oregon, she was a member of the Colorado Symphony for 8 years, and played with the Milwaukee (WI) Symphony for the 1995-96 season. While in Denver, Erin played with many chamber groups and also co-founded the tango group Extasis, and has traveled to Buenos Aires to study and play with several tango musicians there. She attended the University of Michigan, received her B.M. from Rice University, and did her graduate work at the University of Minnesota. In Portland, she has continued her passion for tango music by forming an Argentine Tango group called Tango Pacifico.